A great read from MITX members, Evergage! Rob Carpenter their Director of Marketing explores the evolution and implementation of real-time marketing. See the original post, here. Interested in contributing to our blog? E-mail taylor@mitx.org. Every couple of years there seems to a new marketing darling, innovated by big brands, that will change the face of marketing forever. Today’s belle of the ball is real-time marketing. This month we are all things FutureM! Read this post from Adam Gesuero of Image Conscious Studios. Adam previews the panel presentation that they will be hosting at FutureM! Check out the original post here. You’ve probably seen the above image in one way or another before. 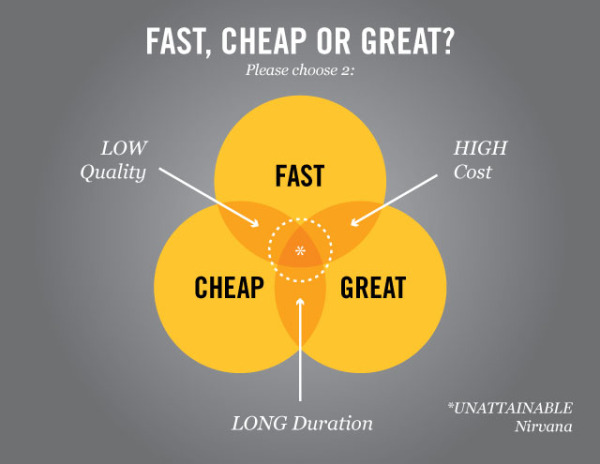 It’s been floating around in different iterations for awhile now (notably in this post by Colin Harman): it shows the three main constraints that we’re all familiar with when developing creative content: Duration, Cost & Quality. This month we are all things FutureM! Read this post from Giles Phillips, Chief Product Designer at Constant Contact (a fantastic FutureM sponsor). Giles takes a look at how to effectively engage customers by cutting through the noise. Giles Phillips is an award-winning designer, researcher, and strategist. He has been exploring the horizons of interface design and development for more than a decade. He currently serves as the Chief Product Designer at Constant Contact, where he is responsible for global product design, information architecture, and user research for Constant Contact’s product suite. Prior to joining Constant Contact, Giles served in leadership positions at Brightcove and at Monster Worldwide, where he developed and scaled their User Experience and Innovation Strategy programs. 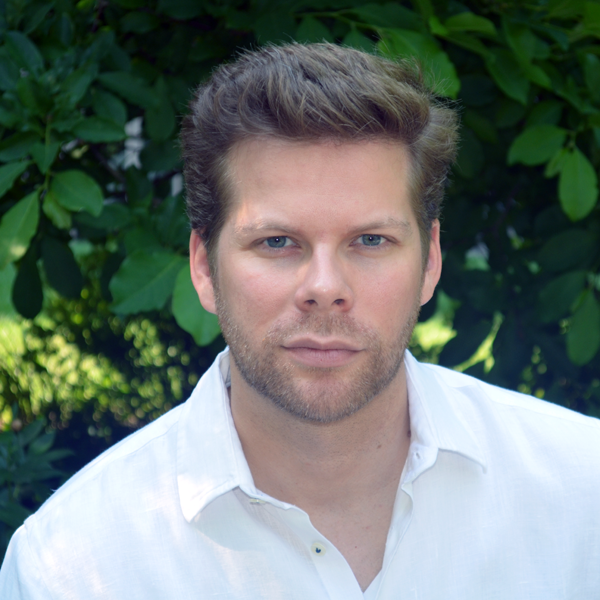 Giles graduated from MIT, where his research focused upon creating new forms of interactive search. 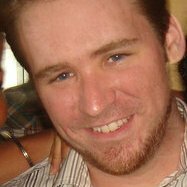 He is a curriculum architect and instructor at the Startup Institute Boston, focusing on product design and strategy. 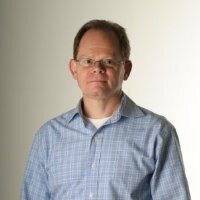 He is also an active speaker; his work has been published in ACM Web Science, UbiComp, Say Media Magazine, MidwestUX, and in Environment and Planning B, Wired, and the MIT SA+P Press. We all know that mobile technology has been a tremendously disruptive force, transforming the way we interact and engage. For marketers, this shift means that traditional strategies for customer engagement, experience design, and messaging must evolve. Innovative messaging will be key for effective marketing in both web and in-product experiences. To effectively engage customers, marketers will need to change their approach to be minimally disruptive and maximally meaningful, taking into account both technical and human considerations. As a start, let’s take a look at these considerations. This month we are all things FutureM! Read this post from Will Yapp, Vice President of Business Development at Constant Contact (a fantastic FutureM sponsor). Will dives into part two of what the future looks like for software developers in this two part post. Will brings more than 20 years of sales and business development experience to Constant Contact. In his role, he is responsible for managing the team focused on growing the company’s technology and strategic partnerships. Follow us @CTCT_API. Prior to joining Constant Contact, Will was the SVP of Sales at Aepona (recently acquired by Intel), a Belfast-based software company in the mobile cloud services industry. Will has a vast knowledge of the telecommunications space across all aspects of the mobile ecosystem ranging from applications and services to infrastructure and devices where he has opened new markets, established new business models and provided solid revenue growth in each of these segments. This month we are all things FutureM! Read this post from Brett Borgeson, AVP of Practice Development at Ayantek (a fantastic FutureM sponsor). Brett discusses a new wave of technology that offers revolutionary opportunities for organizations called the SMACStack. Brett is the AVP of Practice Development at Ayantek, a full-service digital consultancy, offering innovative and strategic solutions through Social, Mobile, Analytics, and Cloud (SMAC) technologies to some of New England's largest companies. Brett has over 25 years of experience in creating and leading new business development initiatives in the digital marketing industry. He has developed online client strategies, managed and grown accounts, and led programs for clients in the financial services, healthcare, consumer and manufacturing industries. This month we are all things FutureM! Read this post from Will Yapp, Vice President of Business Development at Constant Contact (a fantastic FutureM sponsor). Will dives into what the future looks like for software developers in this two part post. To kick off FutureM month we have a post from Todd Peters, President, North America, of ArcSoft. Todd gives some excellent insight into how and why visual based marketing is taking over across all platforms. Todd Peters is the President, North America, of ArcSoft, the global leader in image-intelligent technologies, including those found in over one billion mobile devices. A former Microsoft and Staples executive, Peters’ primary focus at ArcSoft is to drive growth of the company’s new direct-to-consumer business. He was a speaker at this year’s Mobile World Congress and holds a bachelor's degree in psychology from Roanoke College. He also attended Stanford Business School’s Executive Management Program.